Olivia Maragna has won the inaugural Money Management/Super Review Women in Finance Services Awards’ Financial Planner of the Year Award. Now in the tenth year of owning and running her own practice, Aspire Retire, Maragna started her career in accounting and worked in large accounting and wealth management firms before founding Aspire Retire. This business speaks volumes about the ability of Maragna to service clients. Ninety-five per cent of business comes from referrals offering an agreed flat dollar fee model based on the services required by clients. Maragna is keen to promote financial literacy and believes that planners can affect change in their own industry and in the lives of clients. She often speaks with community groups and business people about how they can manage their financial affairs to improve their own circumstances. As a result of this Maragna is often quoted in mainstream and trade media. She has a regular ‘Money’ segment on ABC Radio, is the finance columnist for the Brisbane Times and was invited by the ABC’s 7.30 Report to be a finance commentator on its expert panel in the lead-up to the 2103 Federal election. Her other work in promoting financial planning advice is tied in with lifting the profile and professionalism of other women in the sector: Maragna assisted the Association of Financial Advisers (AFA) with their program to lift the number of women working financial planning. She is also currently mentoring other advisers and is writing a book on women and money due to be published in 2014, and provides pro bono financial planning advice and education to elderly widows. 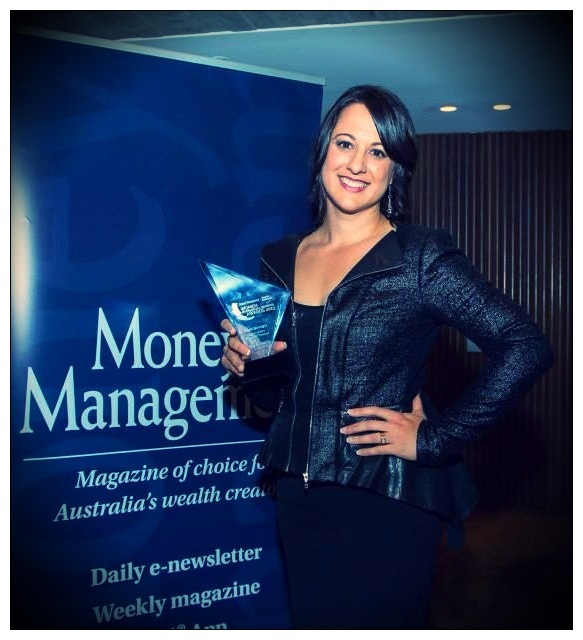 Maragna has been recognised for her work in providing financial planning advice and actively promoting it inside and outside the financial services sector. As a result, she has won awards from the AFA, became Telstra Young Business Woman of the Year and was recently named one of the top 10 financial influencers in Australia. When Maragna won the AFA Adviser of the Year award, former AFA chief executive Richard Klipin said that it was “reassuring to see that the future of advice is in such capable hands. Olivia is more than rising to meet the challenges”.